I have to admit, I was a little apprehensive when my next-door neighbour Jess asked if I could make a cake stand for her upcoming wedding. 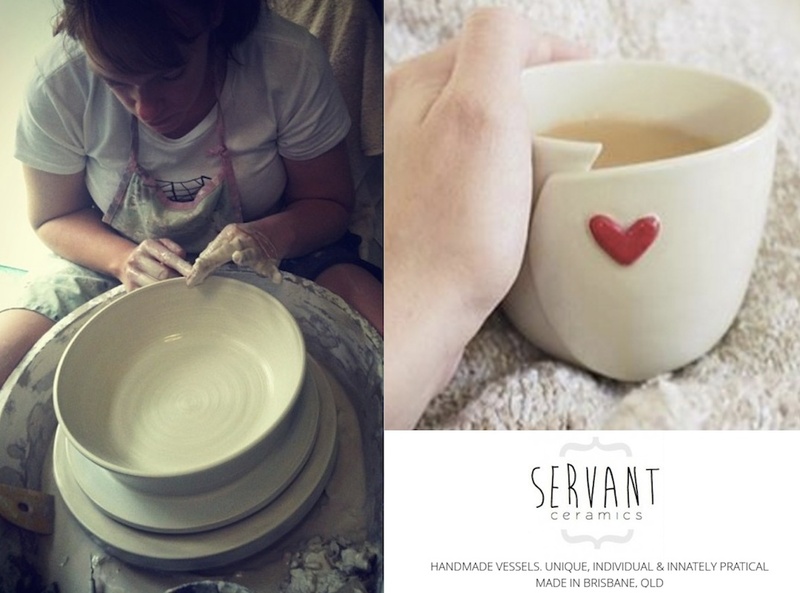 Anything plate related can easily become a nightmare for a potter as plate forms usually require slow drying times, are prone to ‘s cracks’, warping and cracking if they cool too fast after firing. Design sketch – Jess is having a three-tiered cake with the base layer 31cm wide and wanted a little room on each side. Pondering how to make the stands, I tested throwing the plate, giving 4kgs a go. Gosh, I had forgotten what ‘fun’ throwing plates were. Its tough work, especially when you need a 40cm diametre. In the end, I felt that hand-building the plate would work better for me but that I would throw the stand. I also decided that I’d use earthenware clay with its lower firing temperature and reduced risk of the plate slumping. With my bag of Claywork TWE, I ended up making three cake stands. The remaining stands were glazed with simple clear to accent the natural clay body and fired right way up. I was so thrilled to see Jess’ happy reaction to the cake stand when I revealed it to her this afternoon. Jess was especially taken with the little blue heart and its’ colour matches soooo well to the adorable cake toppers Jess purchased. I can’t wait to see how the wedding cake looks with the stand (bring on Nov 23). I feel so privileged to be a part of their special day and the cake stand will be a wonderful item for their future life together. This is what I love – creating vessels which will be used to celebrate with, to remember a significant moment and that in the future, makes a ‘normal day,’ extra special. As usual, I’m linking in with mudcolony – a community of ceramic artists. With a big smile, Rachel. Well done, cake stands are hard, especially as they get larger in size. This one looks perfect. Thanks so much Lori 🙂 That means a lot coming from you! Isn’t it great that what ,at first, appears to be a potential problem, can become an opportunity and then a celebration! Absolutely! And often, you learn more when problem solving than if everything goes ‘to plan.’ Thanks Greg! The creative currents must be moving……I just started a new batch of cupcake stands, which will be part of my next post! Nice work Rachel, what a beautiful luscious surface. Just as edible as the cake!